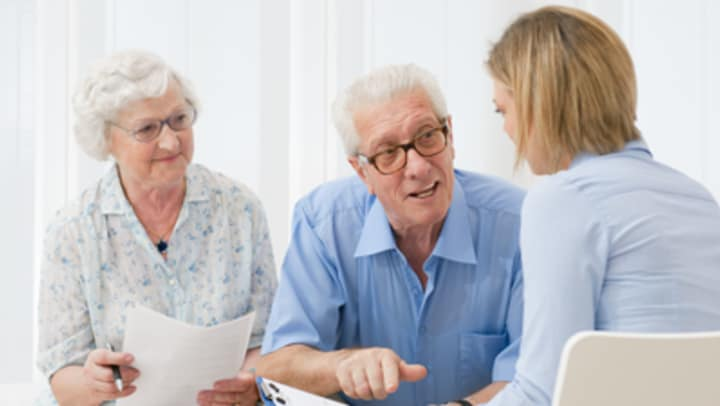 When you or a loved one are looking into an assisted living community, you may have an idea of what you are looking for or you may be unsure of where to start. Many people know they want an engaging, active lifestyle with plenty of opportunities to relax and spend their time as they choose, while others simply want to connect with others and live a worry-free lifestyle. Thankfully, assisted living communities offer opportunities for everyone to find something they enjoy and can fit the health needs of seniors all at the same time. There are so many assisted living communities available to seniors, and all the choices can leave them wondering what the difference is between all of them. It’s important to realize that not all assisted living communities are created equal, in fact, they can have a large number of differences when compared side by side. When considering assisted living, it’s important to make a list of local communities you know about and to search for some that may be a little further away. It can even help to talk to friends, family and even your doctor about senior living communities in your area that you should look into. After compiling a list of communities, consider your wants and desires and schedule a time to tour them. Equipped with your list of wants and needs, take the following questions along with you in order to ensure you are moving into not only the best assisted living community for yourself or your loved one, but that you know exactly what to expect. After touring all the communities, this tool can help you compare them and move into the best assisted living community for you. Is the community appealing? It’s important that you find the place you will move into appealing. Is it clean, well taken care of and up to date on the inside? What about outside? Ensure walkways are clear, the grounds are nicely landscaped and the entrance is clean. Does the community feel like home? An assisted living community can have every service and amenity a senior has ever dreamed of, but that still won’t make it feel like home. Are the residents and team members welcoming and positive? Is this a community you can see yourself in? It may take more than one visit and some interaction with residents to make the community feel like it’s truly home, but this is a good starting point. How much care do you or your loved one need? If you or a loved one don’t need too much care and simply need assistance with daily activities such as dressing, grooming or bathing, or if you need care around the clock, it’s important to find a community that can offer what you need. Keep in mind, while those services may not be needed right now, there may come a time that they will be, so it’s a good idea to plan ahead. What is included in the monthly fee? There’s nothing worse than falling in love with a community only to find out your favorite services and amenities are not included. When touring, be sure to ask if everything is included in the monthly fee and if not, what services are not included. This can help save some headaches when you get a bill that is much more than expected. When care needs increase, does cost go up? Along the lines of ensuring your favorite services are included in the monthly fee, it’s also important to be aware of how costs can change as care needs rise. Are there different levels of care? How much do prices rise? Cost is already a big factor in moving to an assisted living community, so it’s crucial not to overlook this. Will you or your loved one have privacy? Many assisted living communities offer private and semi-private accommodations. The price may vary, but this can allow you or your loved one to choose the amount of privacy you will have. If seniors are more independent, perhaps they want to take advantage of a private patio home, but if they’d like to be close to where programming and activities are located, a private apartment may be the right option. No matter what, you should ensure you have privacy when you desire it. How are you able to personalize your space? Depending on the size of your apartment, you may be able to bring some of your favorite pieces of furniture from home to make it feel more comfortable. Ask what decor is allowed, if you can bring a favorite chair or other items and what you don’t need to bring with you. Are programs and activities offered that you or a loved one are interested in? One of the best things about assisted living communities, other than around-the-clock care, are the programs and activities that are provided. Many communities offer everything from art, music, book and gardening clubs to health and fitness groups. If they don’t have programs you are interested in, many also let you start your own. Can they meet your dietary needs? While assisted living communities provide three delicious meals per day, it’s important to find out if they can adapt to your dietary needs and preferences. Many can, but it’s still a good idea to ask and get a sample menu. Don’t forget to stay for a meal so you can get a taste of what they offer. Do they offer memory care? If you or a loved one begin to deal with memory loss, it’s important that you are in an assisted living community that offers memory care. If the community does not offer memory care, you’ll need to move to a different, unfamiliar community. This can be stressful for someone dealing with memory loss, especially after making friends, becoming a part of the community and making it home. In order to avoid this, be sure to ask when touring. For more information about moving to assisted living communities and what you should look for, or to schedule a personal tour, call or visit us today. We’d love to show you how our assisted living community stands above the rest. Contact us today! Welcome to The Florence Presbyterian Community. Located on 35-acres of beautifully manicured lawns and mature oak trees, our full-service Life Plan Community offers our residents natural southern beauty, charm, hospitality and tradition. Residents of The Florence Presbyterian Community enjoy the southern charm our community provides and the engaging opportunities that abound each day. Sit on the veranda-style front porch and chat with friends while enjoying a cool glass of iced tea, cast your fishing line off the pier, relax in your patio home. Here, residents have the opportunity to live each day to its fullest potential. The Florence Presbyterian Community is a Life Plan Community, offering a wide range of senior lifestyles and services including independent living, assisted living, memory support, skilled nursing care and short-term rehabilitation. As one of the Presbyterian Communities of South Carolina, The Florence Presbyterian Community is a compassionate Christian ministry committed to enriching the quality of life for seniors of all faiths. Built on the values of relationships, service, teamwork and excellence, we ensure our mission and faith are honored daily. While striving to create the highest quality of retirement lifestyles for our residents, we work each day to enrich the spiritual, physical, and emotional well-being of seniors and their families, with our deep heritage leading the way. Learn more about The Florence Presbyterian Community. Contact us today!